The University of La Verne Law Library is a selective Federal Depository Library and a California State Document Depository Library. As such, we provide free public access to government documents published by the United States and by the State of California. 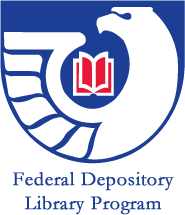 Because most federal document are now provided in electronic format, the Law Library receives only a few titles in print, including the United States Code, United States Statutes at Large, the Code of Federal Regulations, the Federal Register, and United States Reports. Most federal documents are available at GovInfo.gov. California documents are available from various governmental and agency websites. Links to frequently used government document sites and titles are provided below.